The Gauteng Xross Country Club is dedicated to developing the Off-Road/Xross Country industry by offering these adrenaline filled experiences to all Motorcycle and Quad riders in a safe, fun and competitive environment. 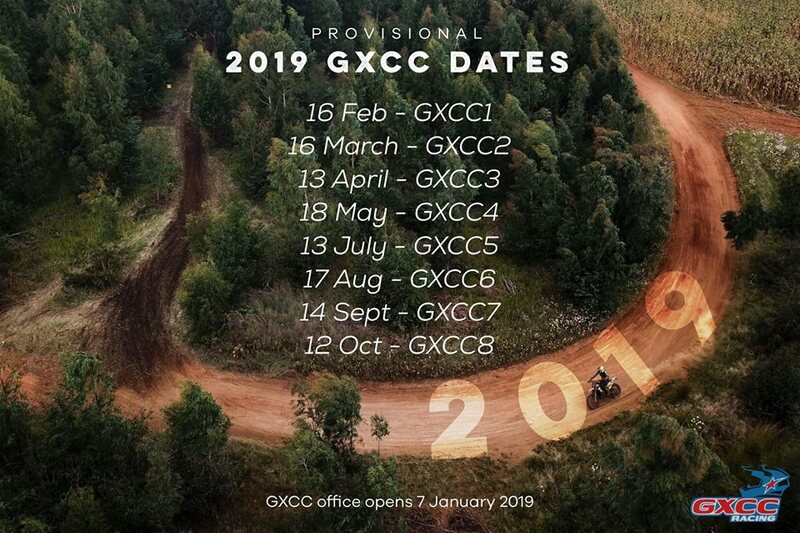 Proudly affiliated to MSA, Motorsport South Africa, the GXCC hosts both a Club and the Northern Regional championships, during an 8 round series within a radius of 200km of Johannesburg. By ensuring we host a series that ALL levels of riders in the Northern regional part of South Africa can complete approximately 200km, in a family orientated environment, we make sure that any two/four wheel enthusiast can come and enjoy a day out. The GXCC aims at providing safe, fast but tight and flowing routes at each leg of the series and still utilising each venues unique terrain. Hosted by multiple national champion! The series is hosted by multiple national champion, 3x consecutive Roof of Africa Winner – Louwrens Mahoney. Motorcyles & quadbikes are welcome! The 8 round series includes both junior and senior age categories. All levels of riders welcome to participate in the GXCC Racing series. The GXCC Racing is for the whole family! All series events are located close to Johannesburg and Pretoria. The GXCC hosts both a Club and the Northern Regional championships, during an 8 round series within a radius of 200km of Johannesburg.